Massimals are 1:1 design objects that serve as prototypes to examine how physical form can engage the public realm. 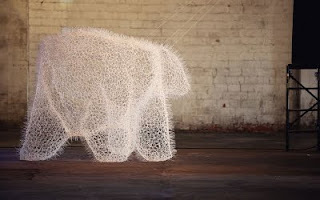 These constructs are mass abstractions of animal forms fabricated in systematic fashion from one material. The suggestive forms and their specific arrangement imply docile behavior similar to animals in a petting zoo augmenting the way visitors approach and engage built form. 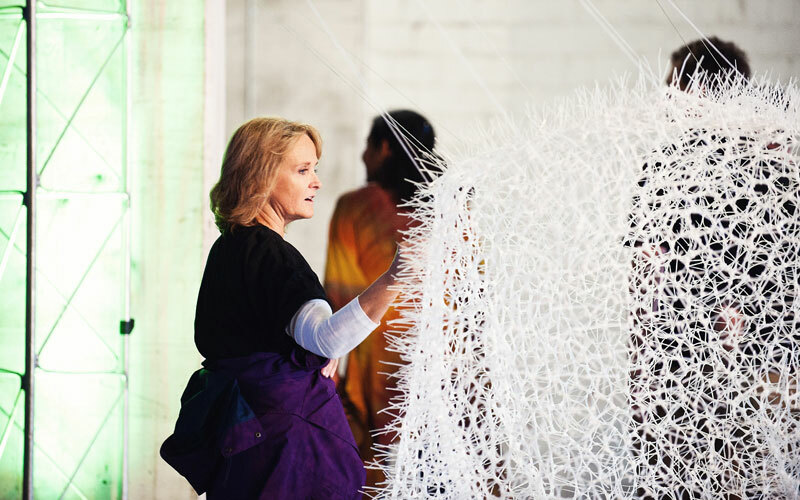 For the installation in the 2011 Beaux Arts Ball, this Massimal blends in with the lively atmosphere of the party by creating a spectacle in the form of a glowing volume comprised of over 20,000 zip ties.